Saint Paul VI, who led the Catholic Church from 1963-1978, was declared a saint last year on 14 October. Photo: Yutaka Nagata UN/CNS. 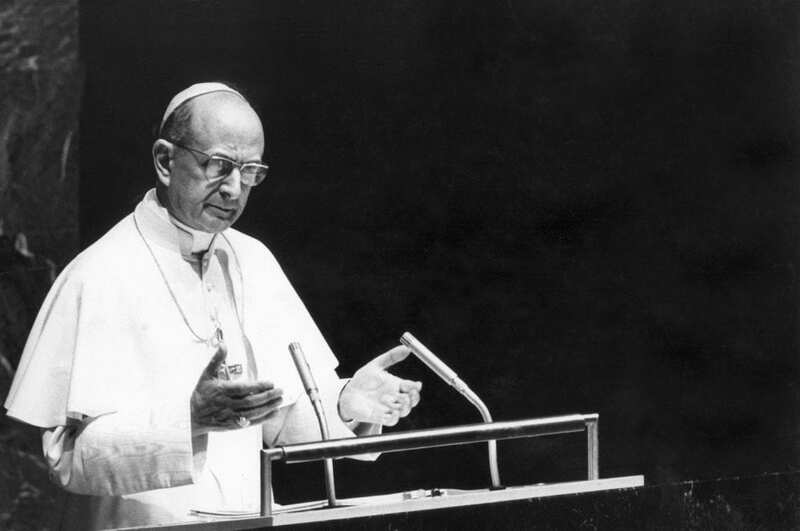 Having considered the holiness of Saint Paul VI and the influence of his ministry for the Church worldwide, Pope Francis has approved putting the saint on the church’s universal calendar of feast days as an optional – not obligatory – memorial. The celebration of the late Pope falls on 29 May (on the General Roman Calendar), the universal schedule of holy days and feast days for the Latin rite of the Catholic Church. On 6 February, the Vatican published the decree, issued by the Congregation for Divine Worship and the Sacraments on 25 January, the feast of the Conversion of St Paul, the apostle. 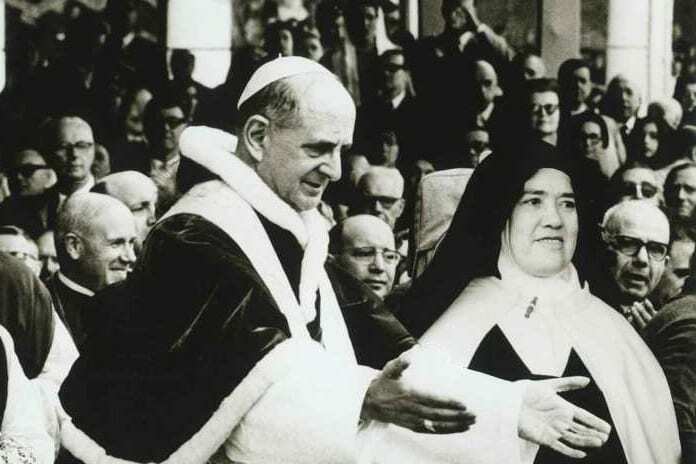 Pope Francis, who canonised Paul VI in October 2018, approved the optional memorial in light of “the petitions and desires of the people of God”, said the decree, signed by Cardinal Robert Sarah and Archbishop Arthur Roche, the congregation’s prefect and secretary, respectively. It said Pope Francis “considered this pope’s holiness of life, witnessed to by his works and words” and took into account “the great influence of his apostolic ministry for the church throughout the whole world”. The celebration of the late pope is on 29 May on the General Roman Calendar. Photo: Diocese of Brescia/CNS. The new memorial “will be inserted into all calendars and liturgical books for the celebration of the Mass and the Liturgy of the Hours; the liturgical texts to be adopted,” it said, “must be translated, approved and, after the confirmation of this dicastery, be published by the episcopal conferences”. Cardinal Sarah said in a commentary that making the decree took into account “both the universal importance of his actions and the example of holiness given to the people of God”. He said the feast day is the anniversary of the date of St Paul’s priestly ordination in 1920, given that the date of his death on 6 August is the feast of the Transfiguration of the Lord.